How to choose the right product to sell? The most successful people I know that sell online did their so called product research before listing or putting any of their products up for sale. Just by going onto Amazon.com, you can gather significant information about what people (consumers) are looking for. So, let Amazon help you in your product research and selection. To be honest, you’ll probably not be the next inventor of the “wheel”. Let the product research be about studying existing products. By looking at search volumes for keywords you can get a good hint what is searched for and by looking at how many offers come up for those keywords you’ll see the competition. Finally, by checking the reviews posted by buyers you will understand what the existing products have that makes buyers purchase them or on the contrary what they lack that makes people not happy with their purchase. 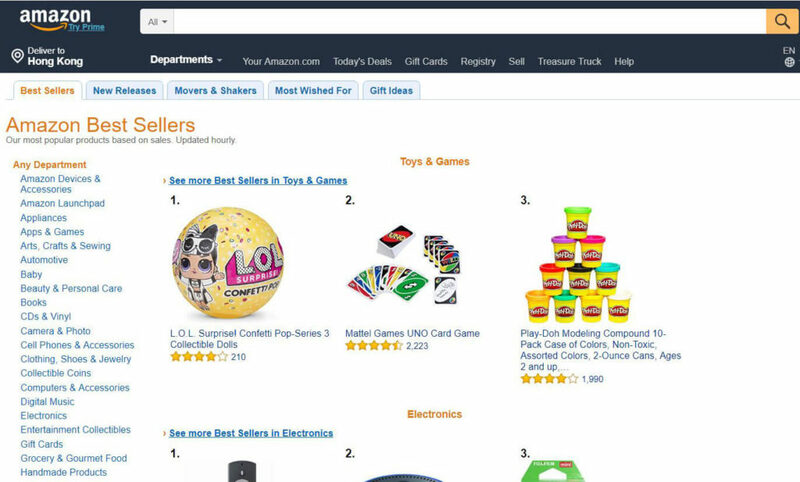 Amazon Best sellers is an extremely useful way of quickly getting an idea of the kind of products which sell well on Amazon. Categorized by product genre for easy filtering and searching, the page is great for those who do not yet know what they want to sell on Amazon. Clearly laid out and easy to understand, the Amazon Best sellers page allows users to make an informed choice based on price and popularity.